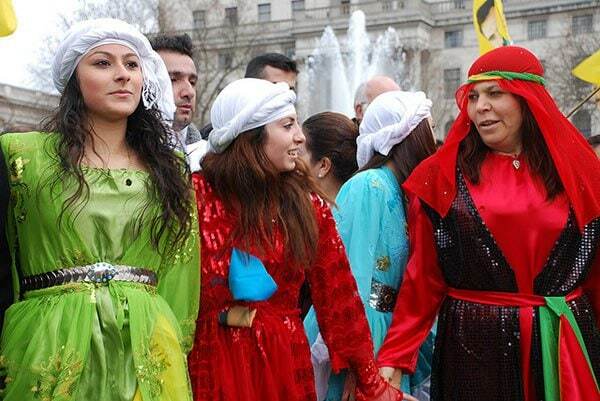 The story of Kurdish women is symbolic of the greater Kurdish struggle for independence and self-government. For decades, women in Kurdistan have been standing up against suppressive governments and patriarchal society. Only in recent years have Kurdish women been recognized for their bravery defending their homelands, and for their leadership in local government. In Syria, the women of the Kurdish Democratic Union Party (PYD) have been recognized for their all-female fighting force. This force, known as the Women’s Protection Units (YPJ) have been heralded for their bravery on the battlefield. Al Jazeera reported that Kurdish soldiers from the YPJ had singlehandedly killed over 100 Islamic State fighters. In the defense of Kobani, it was reported that up to 40% of the resistance fighting force against ISIS was made up of Kurdish women. Kurdish women are not only leading on the battlefield, but also in Kurdish government. After Syrian authorities pulled out of Rojava (The Syrian region of Kurdistan) in 2012, the Kurdish Democratic Union Party (PUK) released a decree setting up governing bodies that mandated the participation of Kurdish women in government. This progressive move by the Kurds is unique in a region where women have been suppressed for thousands of years.